USAID has partnered with Arizona State University, Intel, a growing number of other corporate sponsors, and top universities and vocational colleges in Vietnam to transform engineering education from passive, theory-based instruction to active, project-based instruction. The objective is to advance undergraduate engineering learning outcomes and instructional approaches and pedagogy through an innovative and advanced faculty development program. Starting in 2010, USAID, ASU’s Ira A. Fulton Schools of Engineering, and Intel Corporation began collaboration with the GVN Ministry of Education and Training (MOET), the Ministry of Labor, Invalids, and Social Affairs (MOLISA), and other top technical universities and vocational colleges in Vietnam to transform engineering education from passive, theory-based instruction to active, project-based instruction. The engine of HEEAP is faculty training and mentorship. To date professors from eight colleges and universities have attended four to six week Summer Institutes at ASU, where they prioritized reforms and worked together on curriculum design. These cohorts of faculty have returned to Vietnam and are implementing changes in curriculum, designing new courses and revamping labs based on improved teaching methods and new learning outcomes. Additional faculty will be trained each year and all will return home to train their peers on new methodologies. HEEAP also provides project assistance and mentoring for faculty throughout the program. In 2012, USAID/Vietnam was part of the expanded HEEAP initiative to include the Vocational and University Leadership Innovation Institute. This expansion targeted higher education administration to help develop modern institutional strategic planning capacity. This three-year project expansion aims to increase understanding of institutional research, evaluation, management principles, financial planning, assessment and quality assurance. 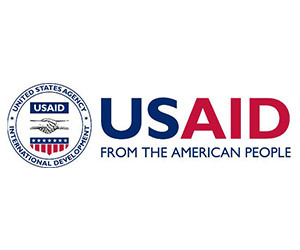 USAID has contributed $2 million to HEEAP 1.0 and $2.5 million to the expansion.